Easy maintenance: Ball and seals can be serviced, without the need for removing the stem and actuator. A floating ball that seals in either direction of flow, and at low differential pressures. Sturdy, blowout-proof stem that transmits torque evenly. Stem seal with maintenance free O-ring seals and an optional stuffing box. Metal-to-metal Alloy 6 seat rings or carbon reinforced PTFE soft seats. A wide selection of alloys available for the ball. 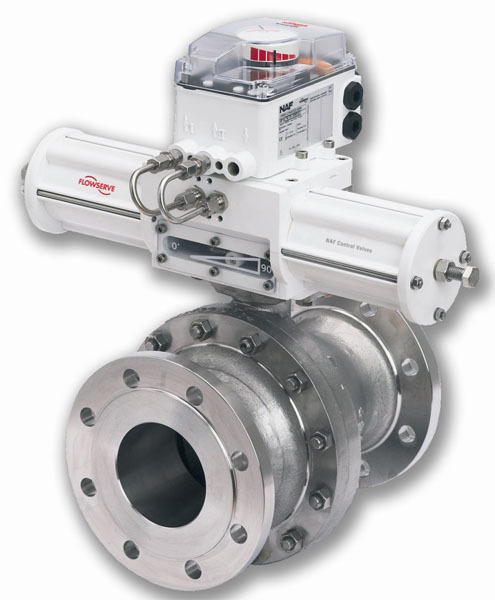 NAF standard close-mounted actuator, which simplifies installation and results in a compact valve/actuator unit.